for car insurance in 30 seconds. Fill Out The Form Below, And One Of Our Insurance Experts Will Contact You. Insurance Is Provided By Delta Insurance Services, Regulated By UAE Insurance Authority Registration Number (72). Complete our easy form & and get instant quotes from leading car insurance providers in Dubai and the UAE. View a side-by-side comparison of plans. Select a car insurance plan within your budget and features you need. Easily pay online through our secure website. Send across your documents & we will issue the car insurance policy within 60 minutes. It will automatically be in the RTA system as well. Fast, reliable and super user friendly service. The most affordable prices on the market. Excellent customer service which answers each of your questions and is always there to assist you. Super friendly and professional team. I highly recommend BuyAnyInsurance to everyone who is looking for trusted and helpful insurance broker. This guys are totally outstanding! Thank you for all your assistance so far! Excellent service and customer satisfaction. Apart from low value premium, after sales service is one of the best in the market. I will highly recommend everyone to approach Buyanyinsurance for all their needs. Thanks Mark for all your help. Staff are great.. They are very much concerned with you insurance status and advised to renew to avoid any fines. They will answer your query and will provide the best rate based on your needs. Shuaib is amazingly responsive! He took my call and finished my application immediately and within less than 10 min I was done. Thank you Shuaib and thanks for your great team behind you. Do I buy my car insurance from a dealer or a comparison site? Did you wear your Pajamas to work today? Special or Super fuel - What should you use? We have made the process to buy car insurance easy, fast & affordable. We always put our customers first & we never take an Admin Fee. We offer the most affordable and suitable car insurance policies by comparing among the largest car insurance companies in Dubai and the UAE. Our Insurance experts have over 15 years of experience in the Insurance industry. We are there for our customers even after buying the policy, we help with the claims & if there is anything we can do to make life easy for you. We value honesty, integrity & transparency. @stepconference Hi - i need to speak to someone about our tickets - can you reach out to me please? What’s the difference between comprehensive car insurance & third party cover? Simply put, Comprehensive Cover means it Covers you and your car, as well as other people and their property, weather it is your fault or not. While third party liability means it insures you against damage caused to someone else or his or her property as the result of an accident. It does not cover your car. Do I need to buy car insurance in UAE? 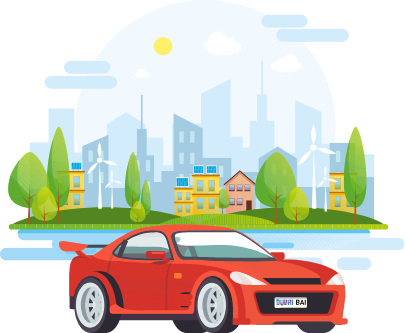 Other than the fact that car insurance offers peace of mind, it is mandatory, as per the law it is for vehicle owners to buy car insurance for their vehicle in the UAE. RTA will not issue or renew your car registration if you do not have insurance. Is it safe to buy car insurance online with my credit/debit card? Can I pay for the car insurance policy today and issue the policy at a later time? Of course you can. You can pay for the car insurance policy today and start it when your old policy expires. You just let us know when you would like to start the car policy. Our advisors are here to help and make sure you get the most for your money. Do all car insurance providers have the same benefits? No, there are many different benefits offered by different providers. We have over 15 providers meaning we will find a solution for all our customers depending on the need & budget. With so many to choose from it often gets a little confusing, this is where our insurance experts are there to help simply give us a call and we will walk through all the points with you.